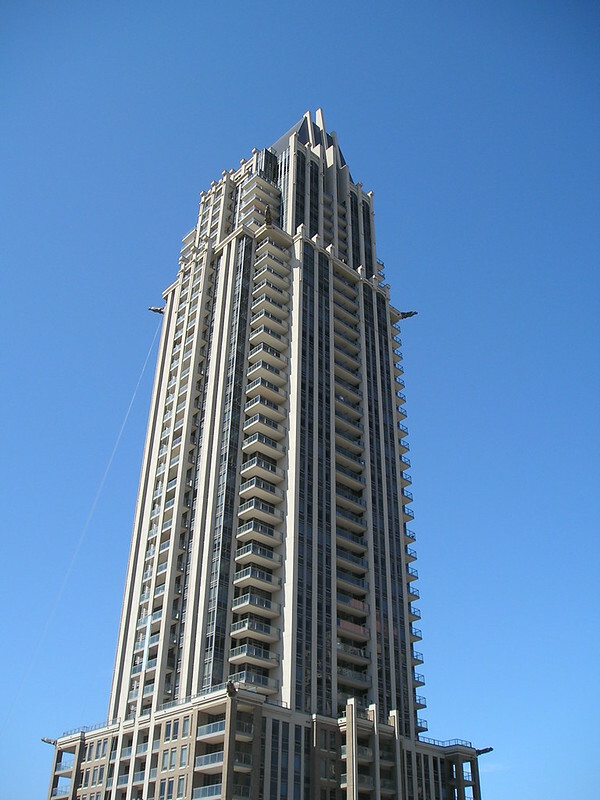 One Park Tower Mississauga is perhaps the second most recognized Mississauga condo, after “Marilyn”, to be completed in the Square One area, due to its distinctive “gothic” design. Built and completed by The Daniels Corporation in 2009. 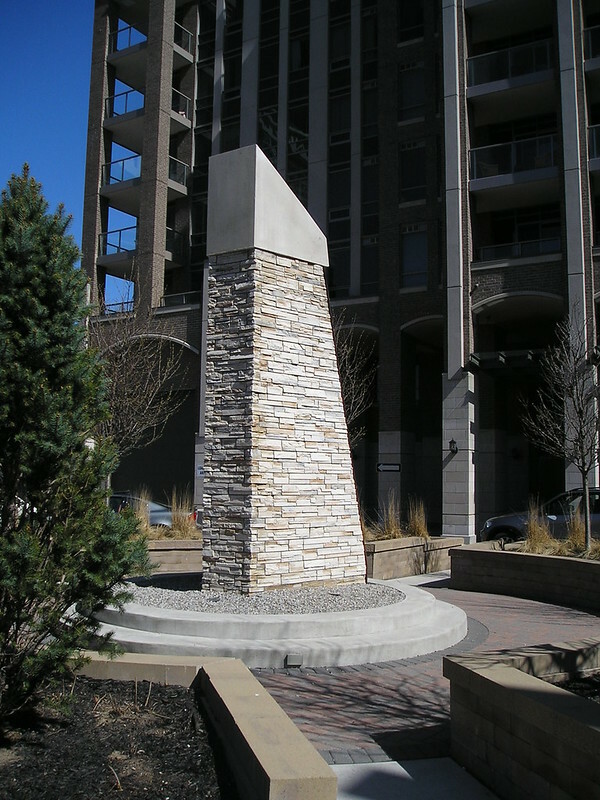 One Park Tower has a distinguishing feature that no other Mississauga condo has to date – gargoyles! 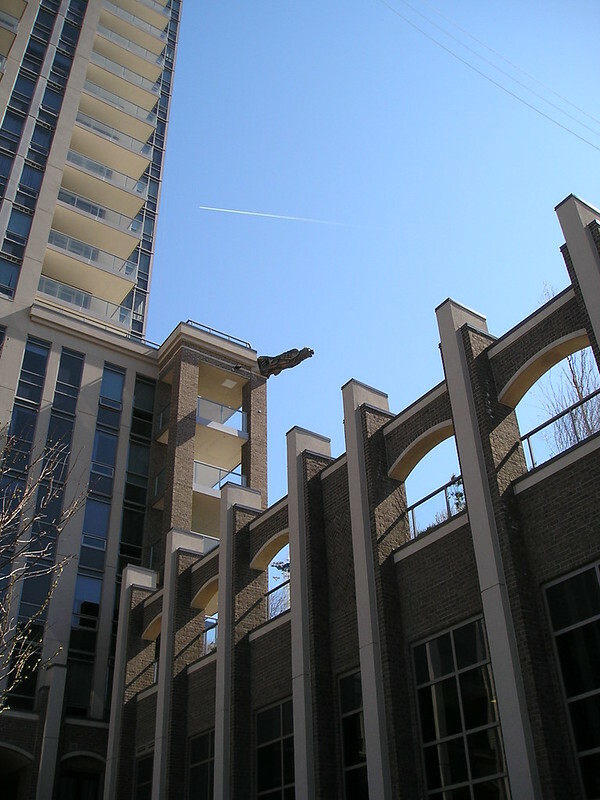 Featuring a striking gothic style of architecture, complete with a vaulted two storey lobby that is reminiscent of a church or castle in Europe, the complex contains a single 38 storey tower which is surrounded by an elaborate podium, plus an adjacent group of condominium townhomes. Municipal address is the same for both the highrise tower and for the townhouses – 388 Prince of Wales Drive. One Park Tower Mississauga has been very popular for both sales and rentals since its completion and is recognized by owners and investors as a top condo choice among the galaxy of available Square One condos. One Park Tower condos are part of the Daniels’ Corporation master-planned community at Mississauga City Centre (MCC), and as such, are conveniently close to all that MCC has to offer: Square One Shopping mall is less than a two minute walk away, with the entrance to the newly opened Target store closest. In addtion, Celebration Square, Mississauga City Hall, the central YMCA, the central library, Sheridan College, the Living Arts Centre, and the Mississauga Transit and GO bus terminal are all within easy walking distance. Adding to the attractiveness of its central location are easy to access to the 403 highway, and convenient shopping at the Rabba supermarket, located directly across the street at 385 Prince of Wales Drive. As is expected of newer luxury condos completed in the Mississauga Square One area in the last decade, One Park Tower condo has a long list of impressive amenities. Bundled under the name of “Club 38”, One Park Tower features a unique facility on the 38th floor of the building, for residents and their guests – with bar, kitchens, widescreen TVs, and billiard and foosball tables, and internet lounge. There are outdoor terraces here as well, with million dollar views of downtown Mississauga, Toronto, and points further afield such as Niagara Falls. Elsewhere on the property, this Square One condo also features an indoor pool, whirlpool, sauna, exercise room, and a gym. One Park Tower is located directly adjacent to a major new city park, which itself is part of the extensive Zonta Meadows park complex nearby (with public tennis courts). In keeping with the gothic theme of the complex, there is a beautifully landscaped courtyard, with a sculptural obelisk, plus seating areas, walking paths, water feature, and children’s play area. The luxury townhouses surrounding the base of the highrise tower have seen a handful of sales ranging in price from $665,000 to $697,000.